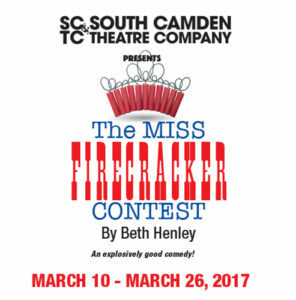 From the author of Crimes of the Heart, The Miss Firecracker Contest is a Southern Gothic comedy for which Henley is best known. Its heroine, Carnelle, is an irrepressible young woman who thinks that winning the local beauty contest will restore her soiled reputation and make her somebody in her small Mississippi community. The family and friends who help her along the way are a dysfunctional bunch who tackle life in their own peculiar ways. A former beauty queen cousin, Elain, comes to offer advice and to run away from her husband and children. Elain’s brother, Delmount, has come home from the mental institution to sell the family home and provide Carnelle another way out. Wandering into the chaos is Carnelle’s seamstress, sweet and strange Popeye, who falls in love with Delmount. The general conclusion these characters reach is that, even if the real you is not the fulfillment of your hopes, you will be more at peace if you learn to define and accept your own self. This show runs for 2 hours with a 15 minute intermission. Show times: Friday and Saturday nights at 8:00PM and Sunday matinées at 2:00PM. Our cast has been hard at work preparing for this wonderful production. Rebecca Latimer (Carnelle) Philadelphia credits include Shades of Poe (Fractured Mirror Productions), Macbeth (Shoe Box Theatre Company), and The Late Christopher Bean (Stagecrafter’s Theatre). Regional Credits include Love’s Labours Lost (Saratoga Shakespeare Company) and Stupid F*cking Bird (Loophole Productions). Rebecca has also understudied for the Arden Theatre. 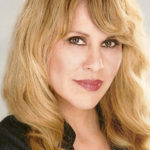 She has trained at Skidmore College, Shakespeare and Company, and the Gaiety School of Acting. Rebecca would like to thank Scott and Tom for the opportunity. Hillary Wilson (Tessy Mahoney) is so excited to be making her South Camden Theatre Co. debut in this hilarious show! Hillary is a graduate of Marymount Manhattan College, where she received her BA in Theatre Performance with a minor in Musical Theatre. 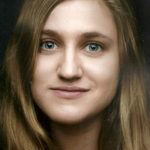 Regionally, she has performed with East Lynne Theater Co. Within the Law, The Surflight Theatre South Pacific, The Candlelight Theater A Christmas Carol, Greater Ocean City Theatre Co. Guys and Dolls, Cinderella, The Cat in the Hat, Snow White, and The Broadway Theatre of Pitman The Fantasticks, Holly and Ivy. Film credits include appearances on The History Channel, and the indie film “Happy Yummy Chicken” starring Taryn Manning. Thank you to Scott and Tom for this wonderful opportunity and to her husband Dave for his never ending support. 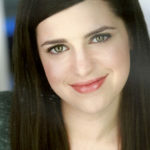 Heather Ferrel (Elain) Heather is making her debut with SCTC and could not be more pleased to do so in such a fun role. 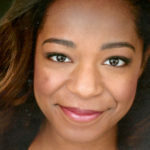 She was last seen as Harper in PCS production of Angels in America parts I and II. Other favorite roles within the tri-state area include Agnes White Bug with Bootless Stageworks , the Duchess Mercury Fur with Brainspunk Theatre and Mary Mauritius with the Stagecrafters in Philadelphia. 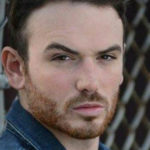 Aaron Roberge (Mac Sam) is an actor living in Philadelphia with his beautiful fiance Leah. 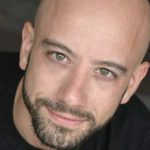 He is excited to be working on his second production with South Camden Theatre Company. He has most recently performed in Water By The Spoonful at SCTC. Cellophane (#1) for Philadelphia Fringe Arts, Beast in the Bayou (Otis) for Enchantment Everywhere, and Side Man (Clifford) at Players Club of Swarthmore; you may also catch him performing in Philadelphia Murder Mystery Company.